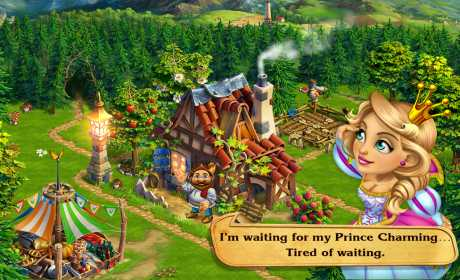 From the creators of the blockbuster simulation hit The Tribez, the Build a Kingdom simulator propels you into a magical world in which you must fulfill your destiny by creating the land of your dreams and becoming a true kingdom-builder. Each home, farm, workshop and bakery you build will help transform your humble village into a mighty kingdom. 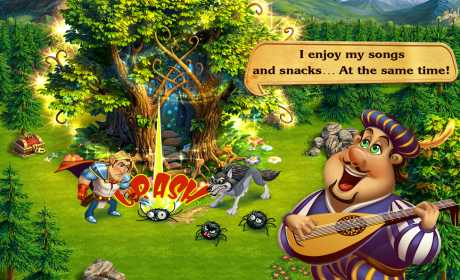 You’ll soon feel like a true king ruling over his wonderful realm and coming to love his royal duties! Harvest crops, bake tasty muffins, forge great swords in this city-builder that also turns to be a charming love story game. Say hello to an incredibly colorful cast of characters including the enchanting princess, the ever-hungry bard and the hopelessly romantic/self-loving knight as they join you on an incredible adventure that’s like nothing you’ve ever experienced before. ✔You’ll soon develop a real fondness for this charming little kingdom and its nice and funny inhabitants!